South Bank Tower is a majestic architectural statement, built in the Modernist tradition of clean lines, unadorned finishes and light-flooded rooms. The panoramic views from the apartments stretch from the London Eye and the Houses of Parliament to the west, to St Paul’s, the Shard and Tower Bridge to the east. 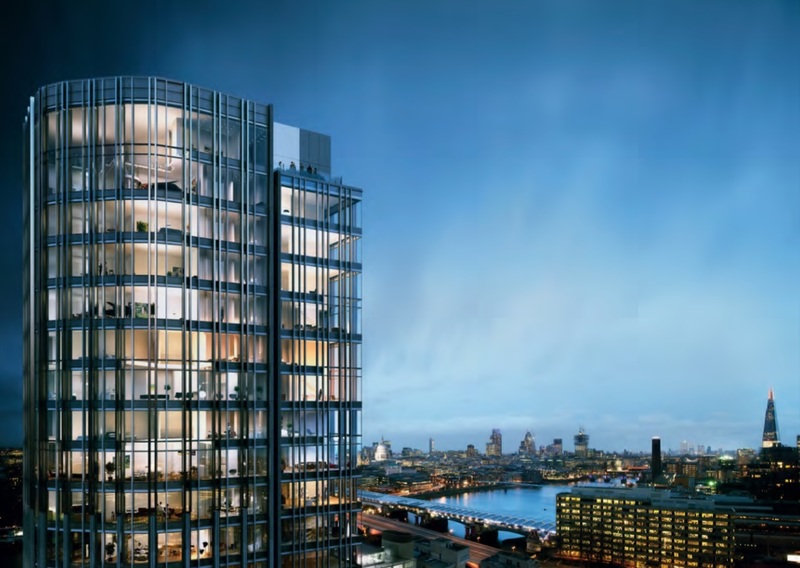 The exclusive South Bank Tower development offers a sophisticated lifestyle at the heart of the cultural South Bank. The panoramic views from the apartments stretch from the London Eye and the Houses of Parliament to the west, to St Paul’s, the Shard and Tower Bridge to the east. The exclusive South Bank Tower development offers a sophisticated lifestyle at the heart of the cultural South Bank. A residents’ lounge with dining facilities opens directly onto one of London’s largest private roof gardens situated on the roof of the podium, with spectacular views across the City. Here, there is also a business suit and a lounge which can be booked by residents for private parties. 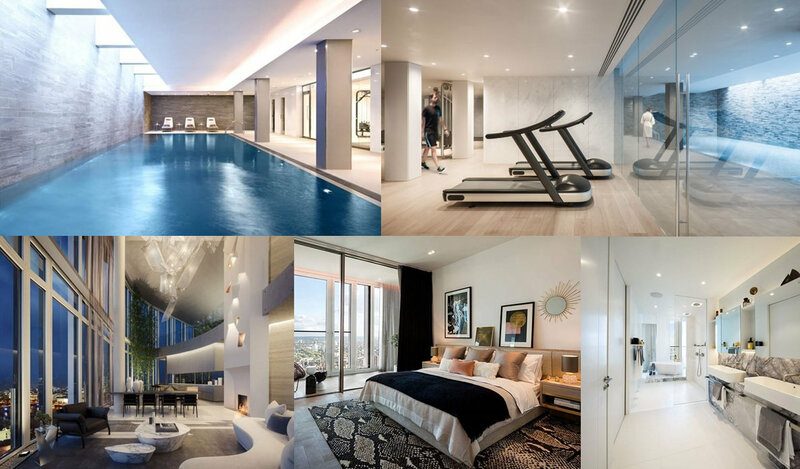 Residents will benefit from an onsite 20 metre swimming pool lit by natural daylight from skylights above. The pool facility includes a sauna and steam room, changing rooms and lockers – all accessed via the secure residential lobby. There is a private gymnasium and fully fitted exercise room, and a secure access controlled basement car park. To live at South Bank Tower is to live in the very heart of the pulsating global city that is London. The development is located in one of the city’s most distinctive and dynamic cultural districts, the South Bank. This central location also places the theatres, opera houses and restaurants of the West End within easy reach. 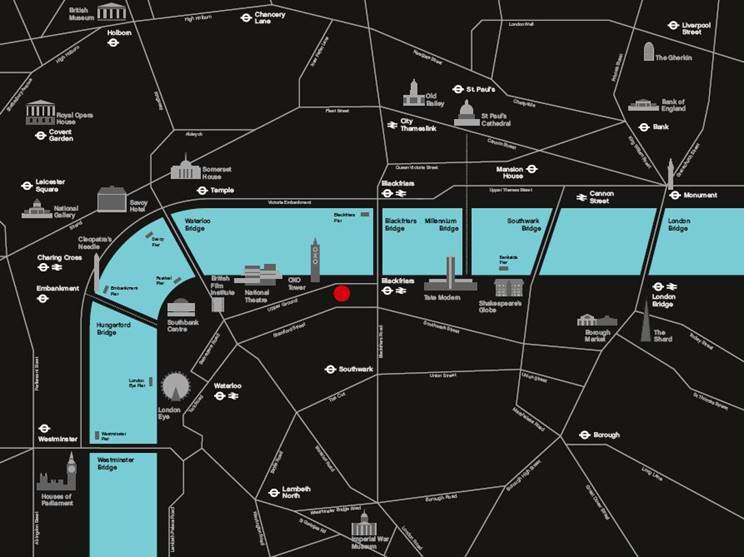 The district’s superlative transport links connect it to every corner of the city, from the shops of Bond Street and Mayfair, to the business hubs of the City of London and Canary Wharf.